Some This and That – Writing, content, editing, proofreading, and note taking. Basically some of this and some of that. note taking, and random things. The myriad things I can do to help your small business or organization. Do you need an article, blog post or newsletter? Perhaps a personal letter, business letter or other type of formal correspondence. I can write those for you. I also write About Me pages for websites. You know, that page where you want to tell everyone how awesome you are and why they should hire you. But you don't want to come across too pretentious. Yeah - that page - I can make you look awesome without the worry of an over-inflated ego. Sometimes you are so in sync with your own work that you miss the typo or formatting error that might throw your potential client off. I'm that second set of eyes you makes sure you used the right form of there, they're, or their. I provide proofreading (reviewing for errors) and editing (fixing those errors). Sometimes the most beautifully designed website can be challenging to your clients. If they can't read or navigate your site to determine how you can help them, they probably aren't going to contact you. I review sites and provide a detailed list of what is awesome and what might need some tweaks to help your customers find you. I'm not a graphic designer, but I can resize or edit your logo, pictures, or images to post on your website, newsletter, or Facebook page. In addition to my writing, content, editing, proofreading, and website services, I also share my use of essential oils. I host regular workshops and share different ways that essential oils can be used. While I love writing, I also love talking and teaching safety! I own a small safety educational business - Coastal CPR & First Aid, LLC. I am a BLS, CPR AED, First Aid, and Safety Instructor. Need certification for work, school, or volunteering? Want to know how to help someone in an emergency? I hold classes monthly and travel to businesses, schools, and organizations to provide life-saving instruction. Who is Some This and That? It's simply Gail and sometimes a friend or two. I'm a collaborative thinker who likes to help out small businesses or find creative solutions to help you do what you do. The best way to get answers to your questions is to contact me! I'm Gail, the owner, writer, brainstormer, idea-implementor, and the solopreneur at Some This & That. aka ... what do I do to find out more? Let me know what you think you might need. I'll email or call you back. I'll ask a lot of questions. It helps me to know what you need or how I can help you. We might meet for coffee or tea. Sometimes a face to face meeting is the easiest way to figure out what you need. No charge, I like coffee or tea. I send you a quote of what we discussed. I don't provide any work until we've agreed on what you'd like done and what it might cost so there is no obligation for you. You're wondering, what work has she done... does she know what she is doing... It's okay, we all think these things when hiring someone. Most of my work has been ghostwriting. 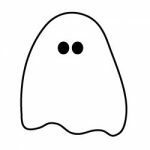 Which means I can't post online what I've written, since - you know - I'm a ghost. I can provide excerpts upon request. I've guest blogged on parenting blogs like Multiples and More as well as maintained my own blogs at Coastal CPR & First Aid, CPRMom, and our family blog the Klanchesser Family Site. Regular parenting columnist for an online magazine. Unfortunately they closed their doors. But several of my articles can be found on my samples page. Attend monthly meetings to take notes for public record. I’ve been called a blogger, multi-tasker, educational expert, graphics person, creative person and just plain wacky – in a good creative sort of way. I’m an entrepreneur, mom, small business owner, community volunteer, family chauffeur, substitute, statistician, writer, project organizer, geek and lover of wine. I’m addicted to coffee, social media and hanging out with my kids at the beach in the summer. I struggle to say NO to the myriad requests that usually involve me helping out in some capacity for free. Because often it’s for a really good cause or organization. What I can offer you, your business, or your organization is this: written content, editing, proofreading, social media & website help. If you’re local (NH Seacoast) I can provide small ongoing or per diem virtual assistant or project assistance.